The third installment of Bernard Cornwell’s bestselling series chronicling the epic saga of the making of England, “like Game of Thrones, but real” (The Observer, London)—the basis for The Last Kingdom, the hit BBC America television series. After achieving victory at King Alfred’s side, Uhtred of Bebbanburg is returning to his home in the North, finally free of his allegiance to the King—or so he believes. An encounter with a vicious slave trader introduces Uhtred to Guthred, the self-proclaimed King of Northumbria. Curious about Guthred’s astounding claim, Uhtred follows him north. But he soon discovers fate has another incredible surprise in store, and begins an unexpected journey that climaxes in the midnight siege of a city thought impregnable—a dangerous seige that results in the forging of England. 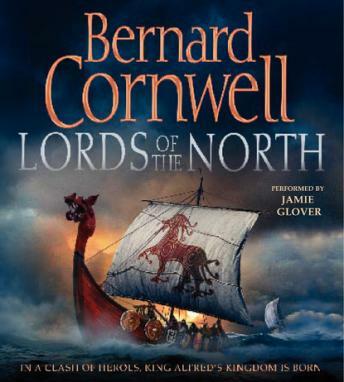 Lords of the North is Bernard Cornwell’s finest work yet—a breathtaking adventure, but it also tells the story of the creation of English identity, as the English and Danes begin to become one people, appropriating each other’s languages and, thrillingly, fighting side-by-side. starts a little slow but finishes Uhtred strong. I thoroughly enjoyed.